Delightful home in an ideal location & community. One of the limited units backing to green space, where you can enjoy great outdoor adventures right outside your door. Hop on the bike path & head to the parks or lake. 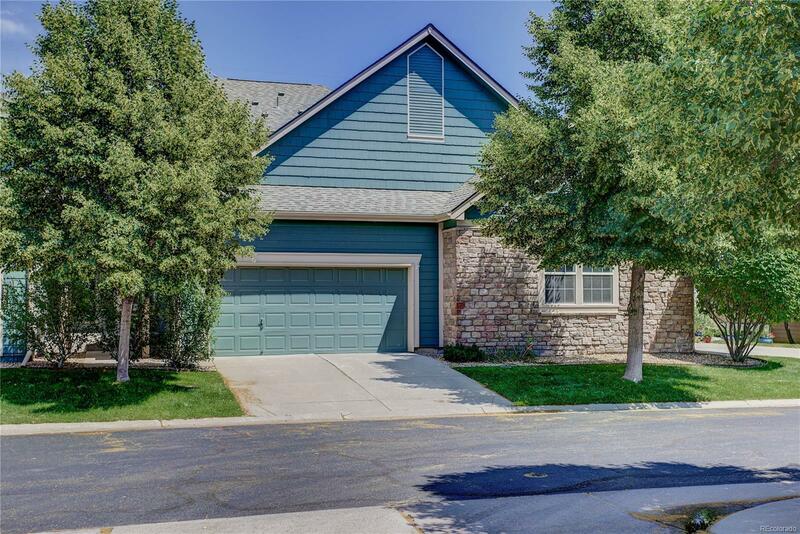 Close to foothills with easy access to highways. Living room has 2-story ceiling, gas fireplace & custom lighting, with two stories of windows allowing incredible natural light throughout. Deck off the back overlooking the open space is a quiet, wonderful setting to enjoy morning coffee or afternoon cocktails. This home boasts open space, a large kitchen with pantry & stainless appliances. Ownerâs suite is bright & serene with a 5-piece bath & walk-in closet. One of the few with a finished garden-level basement with custom design finishes. It includes a fabulous built-in bar, unique half bath with waterfall, office or 3rd non-conforming bdrm, & an amazing entertaining space. This home has been extremely well cared for & has unique & detailed touches throughout!